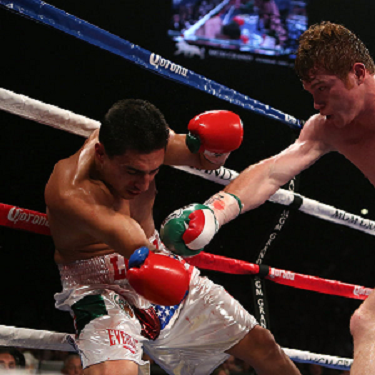 South Bend, Indiana – An intellectual property attorney for G & G Circuit Events, LLC (“G & G”) of Campbell, California sued in the Northern District of Indiana alleging that Juan Aguirre, Beatriz Zarate, Graciela Valles and Taqueria Los Gallos, Inc. illegally intercepted and broadcast “Knockout Kings: Canelo Alvarez v. Josesito Lopez Championship Fight” (the “Program”) on September 15, 2012. G & G states that it is the exclusive domestic commercial distributor of the Program. It has sued multiple Defendants both individually and doing business as Taqueria Los Gallos under the Communications Act of 1934 and The Cable & Television Consumer Protection and Competition Act of 1992. • Count I: Violation of Title 47 U.S.C. § 605. For this count, G & G requests (a) statutory damages for each willful violation in an amount to $100,000.00, and (b) the recovery of all costs, including reasonable attorneys’ fees. • Count II: Violation of Title 47 U.S.C. § 553. For this count, G & G asks the court for (a) statutory damages of $50,000 for each willful violation; (b) the recovery of all costs; and (c) and in the discretion of the court, reasonable attorneys’ fees. • Count III: Conversion. For this count, the court is requested to order both compensatory and punitive damages from Defendants as the result of the Defendants’ allegedly egregious conduct, theft, and conversion of the program and deliberate injury to G & G.
Practice Tip #1: Typically, an Indiana intellectual property plaintiff suing for interception cannot recover under both §§ 553 and 605, as the Seventh Circuit has held that those sections relate to two different kinds of piracy. Specifically, the Seventh Circuit has held that Section 553 governs the interception of cable television program traveling over a cable network. Section 605, in contrast, addresses interception of television programming traveling through the air. However, the federal appellate courts are not in agreement on this interpretation. This Complaint is very similar to the Complaint we blogged about on Friday, which was filed by the intellectual property counsel for J & J Sports. The complained-of activity (interception) is the same, the intellectual property that was allegedly intercepted (the Program) is the same and the Defendants are the same. One can also surmise that the Plaintiffs – J & J and G & G – may be related as well. Even the mysterious page-numbering notations found at the bottom of each page – “Page PAGE 7” [sic] – are the same on both Complaints. The suit was filed by Charlie w. Gordon of Greene & Cooper LLP. The case has not yet been assigned to a Judge or Magistrate Judge in the Northern District of Indiana; however, the case was assigned Case No. 3:14-cv-01884.